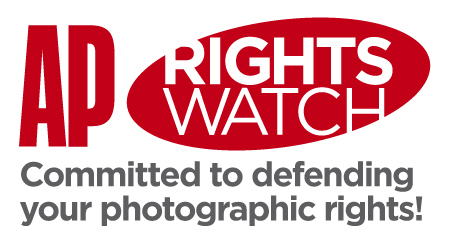 Photographers have been urged to have their say ahead of the introduction of new data protection guidelines governing the use of photographs online. As we reported last year, the Information Commissioner’s Office (ICO) is drafting a new code of practice in response to the spiralling distribution of digital information on the internet, including photographs. Though the privacy watchdog stresses there has been no change in data protection laws, it says the Personal Information Online Code of Practice will aim to help individuals and organisations assess whether a photograph of a person, for example, breaches their privacy. ‘Some people think that their hobbies might breach data protection,’ a spokesman for the ICO told Amateur Photographer (AP) last night. The Data Protection Act is sometimes wrongly cited as a law that can prevent photos being taken without the subject’s permission. However, the Act does not prevent someone taking photos in the street without the subject’s consent, provided that the images are for ‘personal use’ and the camera is not being used to harass people. Last October the ICO told AP that it treats images published on social networking websites, such as Facebook, as ‘personal use’ – in a similar way to ‘family albums’ – and therefore not in breach of data protection regulations. However, it also urged photographers to adopt a ‘common sense’ approach. The watchdog stressed that, although background shots of passers-by will not normally breach the Data Protection Act, images of a small group of clearly identifiable people, sent for publication to a newspaper website for example, may be considered an infringement. In this situation, according to the ICO, photographers should ask themselves whether the subjects would object to their picture being published in this way, and consider blurring their faces. The consultation process ends on 5 March 2010. To read the draft code and have your say click HERE.